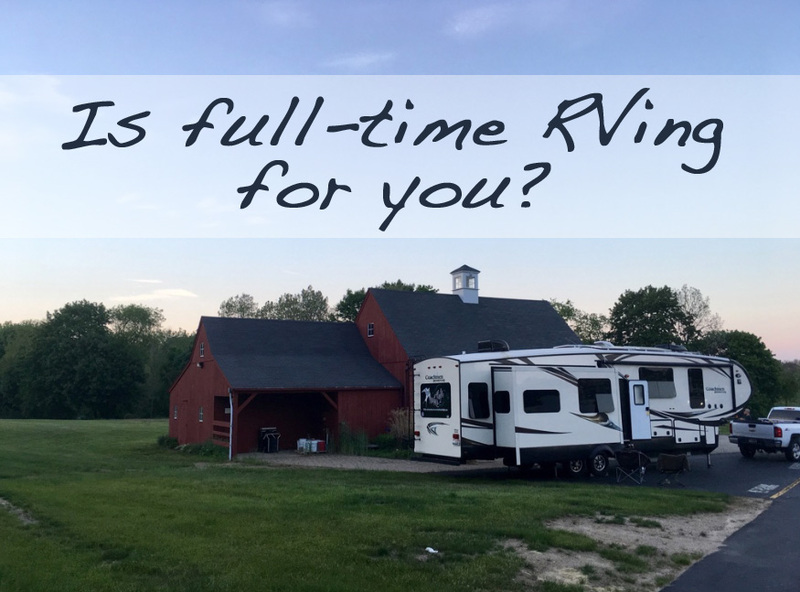 Is Full-Time RV living for you? Take this simple 10 question quiz to find out how you fare. Hint: if you have paper handy, note the question # and if you answer “yes” or “no”. It will make your scoring at the end easier. This is not the same as “Do you like to watch your child play soccer?” or “Are you happy when your husband comes home from work?” Do you like your family enough to be with them all the time. Enough to share one small bathroom with them? Enough to sleep within 15 feet of all of them? Enough to empty their poop once a week from your house? Our house shakes a little when the wind blows hard enough or when we walk through it. I now know my family well enough to recognize who is coming down the hall simply by the amount of “jiggle” they create. We are more connected with each other than we ever were before and we like it. Photo notes: this photo makes me snort with laughter. Refusing to take part in the family “silly photo,” Hunter was finally convinced to simply be in the photo. It’s one thing to wonder what the weather will be like next week. It’s another to wonder where you will be living during your child’s birthday next month. Our learning curve is perpetual. We are in a constant process of projected planning that continues to shift. In March we mapped out our projected intenary from Florida to Maine and then over to Minnesota and on to Washington State. A few weeks ago we seasoned the plans with the addition of Prince Edward Island. In April we researched toll roads, low bridges and walking tours. During the month of May we figured out three different forms of mass transit in three major cities. 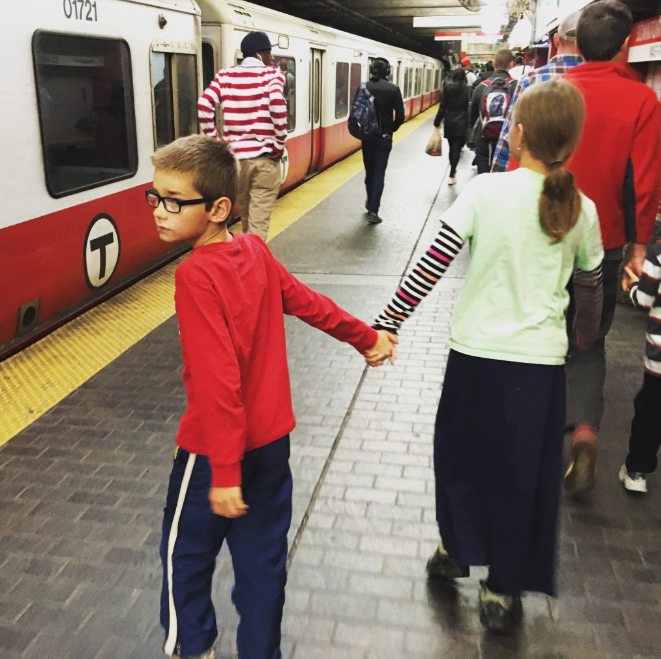 Photo notes: The metro system is no joke. While the kids loved simply riding it, Trent and I could have awarded one another for simply learning how to use it. Are you comfortable staying in a Walmart parking lot or in the backyard of a stranger? When we find ourselves in between destinations, we opt to boondock for a night or two. We’ve spent the night under a Cabella’s sign, next to semi-trucks at Walmart or, more recently, using our Harvest Host membership to park next to alpacas in someone’s backyard in Maine. Are you willing to ration water for showers or laundry and go without air conditioning? While boondocking for a night (see #3) or longer such as in a National Park like the Florida Everglades, it becomes necessary to cut back on our water sewer and utility usage. This might mean the boys pee outside or we use public showers. It might require a few days of greasy hair or unshaven legs. Basically, things temporarily look more like camping than everyday RV living. 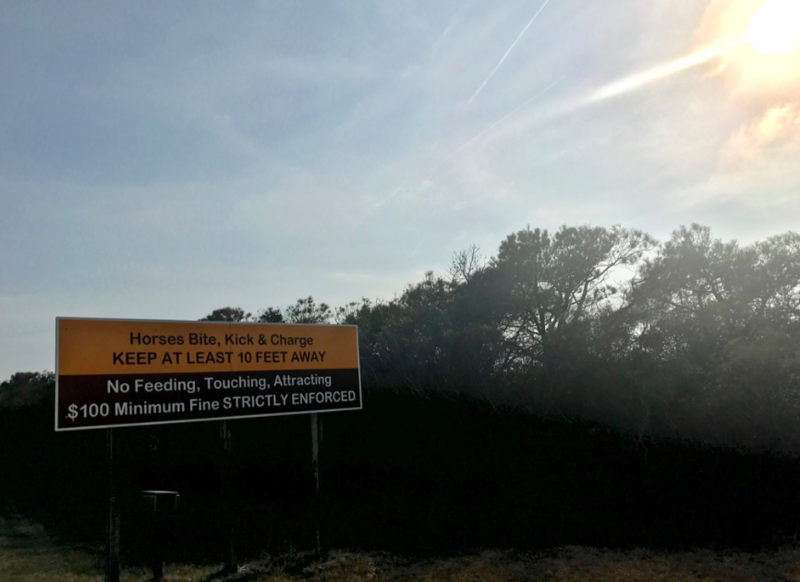 Photo notes: Rationing water and power is often exchanged for the chance to see or do something more unconventional–like camping near wild horses on Assateague Island National Seashore. Would you knock on a stranger’s door to make a friend? Just recently while in the Cape Cod area, Ashlyn met a girl her age on the playground. They were hitting it off nicely so I asked the girl to show me where her RV was so I could meet her mom. She did and her mom and I proceeded to visit at the picnic table outside her RV for about 30 min. Later that day their family came over and we visited some more. Before we left the next morning we concluded our time by swapping interviews for our YouTube channels (click here to see one of the videos). This kind of “speed dating” friendship making is not unusual. We can point to countless examples since beginning our travels like this one. Relationships form quickly and dive deep in a hurry. Do you know how to change a tire? Install solar? Reinforce kitchen drawers and under-bed storage? Drill a hole in the side of your house for a washer/dryer vent? Fix said hole when it is drilled in the wrong place? If not, are you willing to google and YouTube it until you learn? The one constant that we have come to count on is the fact that our home is always willing to offer up fresh opportunities for learning. Every day something (mostly minor) could break and every travel day something (mostly major) could go wrong. The downside to this is, well, obviously problems and delays and cash going out instead of coming in. The upside however is that when nothing goes wrong we do often recognize it and celebrate! Thats something right? How often do you walk into your house and celebrate because nothing major has broken? If it has been a while than 1) I know you don’t live in an RV and 2) you have an optional new habit to develop! Do you have an Instant-Pot? 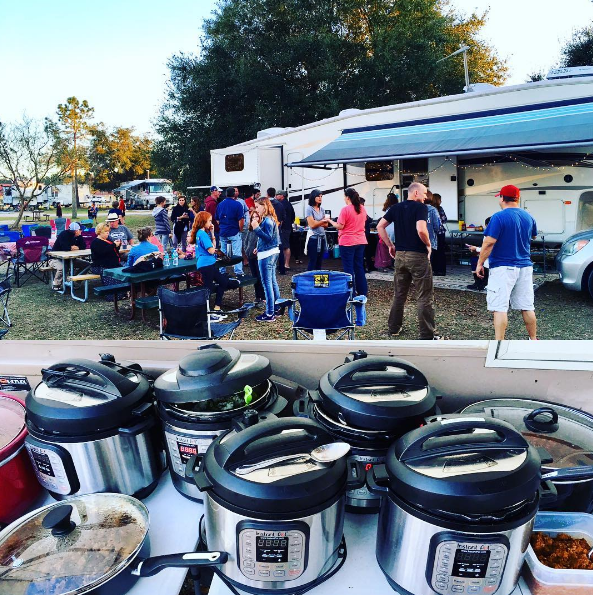 This kitchen all-in-one-do-everything gadget has taken the full-time RV world by storm. If you plan to live in your RV, its best to plan on buying one of these babies. Just be sure to label yours before you head off to your first RV potluck. Things can get a little bit monochromatic on the food table and you may head home with someone else’s refried beans. Photo info: This was our Tuesday Taco Night potluck in Florida. Would you enjoy having a rotating friend base? We have discovered that having community on the road is not only possible, is readily accessible if you are willing to be open to it and seek it out. However, the interactions look very different than anything we’ve previously experienced. Since leaving Florida in March we’ve met up with 14 different families! Of those 14 only 4 were planned in advance. The remaining 10 families were simply in the same place at the same time and we grabbed onto the chance to get to know each other. We shared meals, went to museums together, sat around the campfire, told stories, played games and the kids had sleepovers. 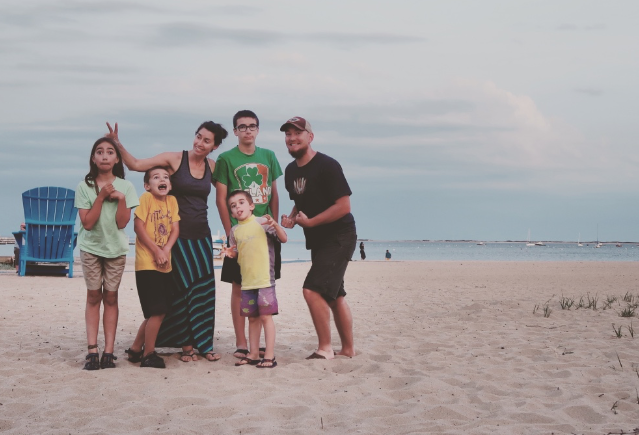 We’ve joked that the collective amount of time spent with other families in the last few months has far exceeded our typical yearly quota of “friend time”. The inherent downside to this is that these are ebb and flow type relationships. We dig in deep and seize the time and then we say “good bye for now”. The consistent community is gone. I think this compels us toward friendships whenever they are available. Does being out of cell range make you uncomfortable? It isn’t often, but we did have a week without the use of the Internet while we were in the Everglades (see #4). More commonly we find ourselves in an area where the Internet is weak rather than non-existent. In these cases patience is required if we are trying to upload a video to our YouTube channel and we can all but forget about steaming something from Amazon Prime. 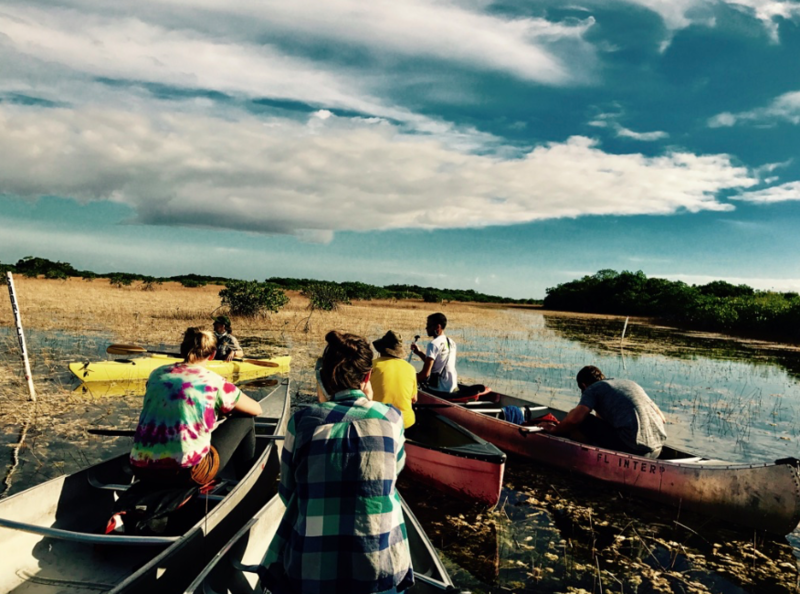 Photo notes: We may have been without internet this week in the Everglades but hey, a morning canoe ride through Mangrove trees sheltering crocodiles and alligators is pretty worth it! Do you like to take baths? Spoiler alert: most RVs do not have bath tubs. This was not a deal breaker for me. I grew up in an old two-story farmhouse with one bathroom which only had a bathtub. I was in college before a shower was a regular part of my routine. Therefore I was approximately 36 before I could start claiming to have taken more showers than baths (this is the kind of math that homeschoolers do by the way). IS FULL-TIME LIVING FOR YOU? Speaking of math, now it is time to tally your score. For questions #1-8 a “yes” earns you 5 points and a “no” earns you 1 point. For questions #9-10 a “no” earns you 5 points and a “yes” earns you 1 point. Are you married? Ask your spouse to take the quiz too and see how your scores compare! 36-50 points=Full-timer status: You were made for this! Don’t walk, run to your nearest RV dealer. 25-35 points=Part-timer status: This might be worth trying out. Why not take some long family road trips and see how it feels to put some miles under your tires. 15-24 points=Weekender: While you may not be a good fit for full-time travel, don’t overlook the fun that can be had with short weekend getaways! 10-14 points=Homebody: It’s okay! If we all lived full-time we would have some serious traffic jams waiting to empty our black tanks. 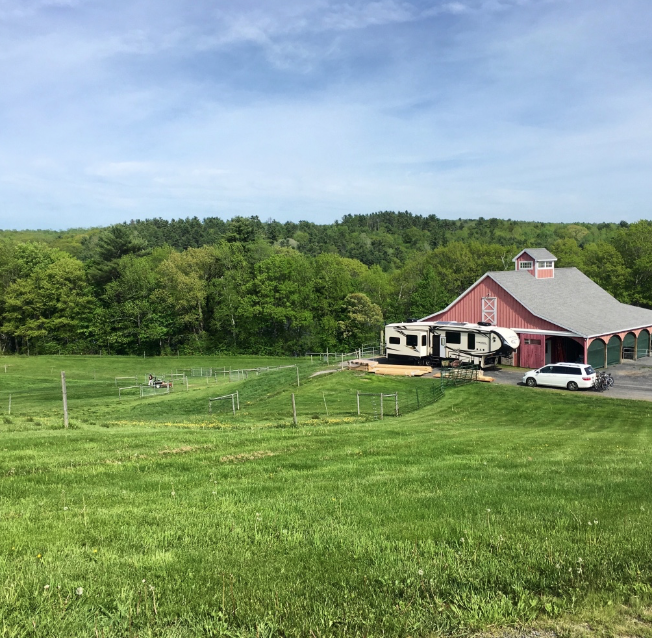 Day trips can be super fun, why not consider doing a little local exploring? I’d love to know how accurate my quiz was (or wasn’t) for you. Won’t you post your score below in the comments and let me know? I’m curious to know more about my readers. Are you RVing already? Are you in the consideration phase? Is it just fun to peek in on us? Is this your first time reading or have you been reading for a while? If you’ve been reading for a while, what draws you to come back? Thanks in advance for sharing your thoughts, it will be really interesting for me to get to know you better! 42 for me. Good thing we’re moving towards this adventure! Thanks for a fun post! I look forward to learning new tips from you! Now I am curious, what questions did you get docked points for Heather? I got 46. I love soaking in a tub so not having one has been a challenge this last year. Visiting family over Christmas had me hogging their bathrooms so I could make up for all the missed soak time. 🙂 You are not alone. It is funny how often I see RVers posting photos of a bathtub they are about to enjoy when they visit family or are at a hotel. Both my husband and I scored 42! I got a 50. Probably why we’ve moved so much! This test couldn’t have been more accurate for me. I love my current life and know we’re where God wants us, but the nomadic life is definitely in our future. 36 for me, and hubby and I are in the process of selling our home and buying our first ever fifth wheel and hitting the road full-time! Woo-hoo!! I lost points for neither of us being really handy; but I’m not too worried, cuz with youtube and all these great rv facebook forums, I know we can figure things out as we go. We are sooo excited to start our journey, and would appreciate prayers for God to lead us anywhere we can make a difference in His kingdom. Thank you for your blog, Heather. Love your writing! If I took my own quiz I’d loose points for not being handy as well. HOWEVER, since my husband is willing and able I figure he can be my stand-in! Lord I ask that you will bless Lisa and her husband as they begin this journey. I know you will go before them and I ask that you would lead them and teach them as they go. You are a wonderful provider and I know you will provide for all of their needs just as you have done for your people in every generation leading up to this one. Thank you for this crazy life we get to lead! 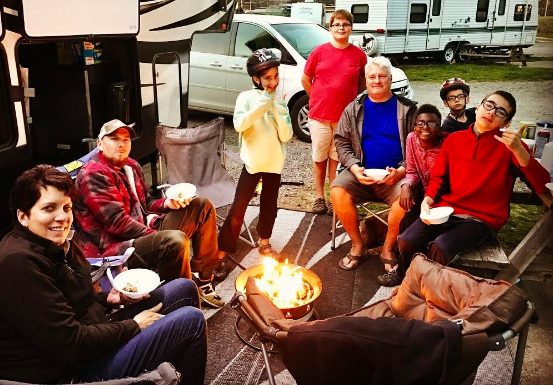 41 points for me….Good timing since we just bought our first RV yesterday. 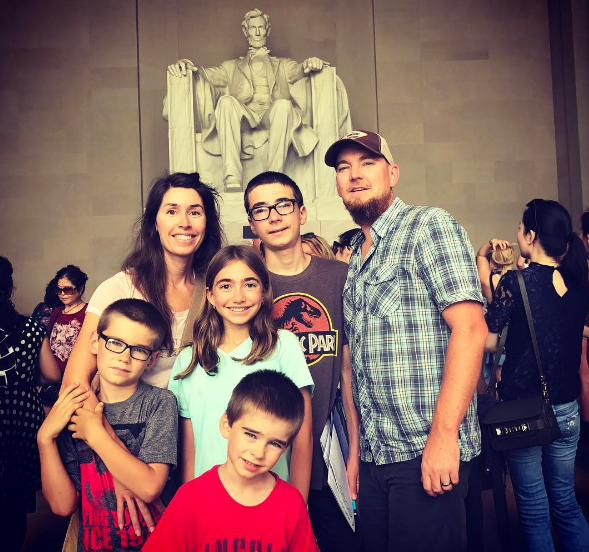 Planning to start our for 1-2 weeks at a time since our work schedules are flexible, but are hoping we love it enough to full time at least for a couple of years and travel the US, Canada, and Mexico. Yesterday?! AHHHHHHH that is AWESOME! I am excited for your new journey to begin. I’d love for you to check in and tell me how it is going after a few weeks :). 38! our house will be on the market in 3 weeks, then buying a 40ft travel trailer with our two toddlers! i don’t have an instant pot yet & i don’t like to knock on random people’s doors- i barely answer my own door lol! we also don’t know a lot about rv’s or fixing them so bring on the you tube tutorials! Yes, bring on the YouTube learning! 🙂 You are about to enter a very memorable time in your life, I am excited for you all! I got 34! The making friends thing is hard for me due to social anxiety, but I am trying to put myself out there more. It’s so much easier, though, when people approach me first. And, I hate to admit, I am uncomfortable when there is no internet. Though, if I had to, I’m sure I could learn to go without it. As long I still had cell service in order to make calls and such. My husband is a surveyor on the pipeline, so his job take him practically everywhere but home. It’s my dream to pack up only what we need, sell and store the rest, and travel with him while homeschooling the kids until we are able to put down enough money for a small homestead of our own. Oh 34! Wow. I took a peek over at your blog and left a comment there. I could certainly see why this lifestyle would be a potential fit for your family! The memories are going to start multiplying Sylvia, I am so happy for you! Thanks for the quiz! I shared it on our page, Simplifying Our Lives. We’re leaving this week to start our adventure. Hopefully we’ll see you out on the road someday. Be blessed! Gena, Thanks for sharing! I’m excited for your journey to begin. Only a year? Are you sure about that (BTW that’s what we said too;) ). What are you hoping to see this year? Where will you winter? I hope our paths can cross. 50! My wife and I are planning to start fulltiming within the next year. 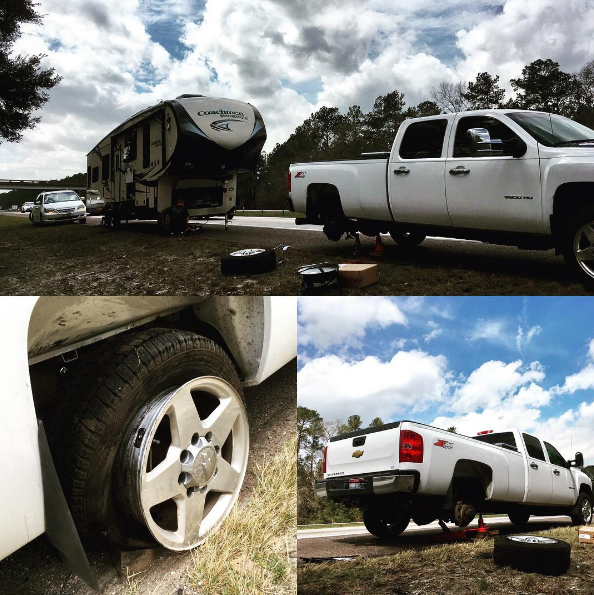 We are in the process of liquidating our ” fixed” belongings and hit the road in our 38′ 5th wheel. 50?! Well I’d say you guys are ready! Did your wife get a 50 as well :)? Can’t wait to see you guys get on the road, welcome! I scored a 42…my hubs and I have talked a lot about getting an RV and traveling once we retire. (We only have about 8-9 years.) He has traveled and seen WAY more of the country than I have, so it’s an exciting prospect! We will likely have to start with some road trips before we expand into full-time RV life, so I can get used to being away from my grand babies! So glad I found your blog…look forward to following y’all. Hi Janet! Welcome :). Starting with road trips sounds like a perfect way to get your feet wet. Maybe by the time you guys are full-time, you can have some grandkids taking some trips along with you!